Last year, my nine year old son Michael began failing in school academically and socially. Almost every afternoon was met with a long note from his teacher, explaining why he received a poor grade, or alerting us of his lack of focus in class. It was not new behavior, given he showed signs of an unstable attention span and challenged focus. He’s a smart kid, we’d always explain. He can recite science and history facts picked up from a visit to the local museum, or an educational television show. His desire for knowledge being evident to everyone he comes in contact with, by way of his conversations and the avalanche of questions to follow. After many weeks of missing work and trying everything in the book, one teacher’s wits met their end. His teacher casually mentioned that we pursue the medicated route to help him with focus and concentration. Now, Michael is not a bounce off the walls kind of kid. He’s not playing pranks or musical chairs around the classroom during lessons. He just could not find his focus. This of course led to lesson plans being missed or inadequately completed. Michael then often felt overwhelmed because he did not pay attention. As you can imagine, missing assignments and poor follow through on class and homework left us all frustrated, including Michael. As the teachers became more and more intolerant, we (the parents) decided to try something different. With a full time demanding career, I decided that my job needed to allow me the flexibility to also fulfill my primary job of “Mother”. I re-arranged my work schedule from one that kept me away from home for days and nights at a time. We realized that my presence made a positive difference, but that’s not all. I started a little experimental yoga with Michael. So, he’s a nine year old boy and at first introduction, he did not hesitate to offer his opinion. “Yoga is for girls Mom” as he walked away. With a little gentle prodding, he agreed to give it a try. That’s when the magic happened. Being an avid yoga student, I led him into a comfortable upright seated pose, with what the kids call, “Kris Cross Applesauce” with the legs. We then rested our hands on our knees with palms facing upright and our fingers in a simple mudra (index and thumbs touching, with the middle, ring and pinky straight out). We closed our eyes and I talked him through focusing his thoughts on his breadth. I talked him through taking a deep breath in through his nostrils and sending it out through his mouth, slightly opened, with his lips taking the shape of a little “o”. 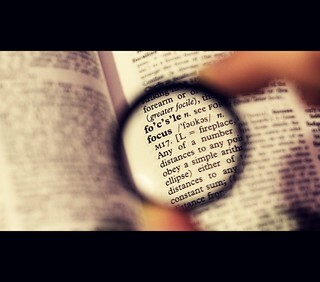 We practiced a few simple breathing exercises and witnessed the “finding of his focus” come into sight. The fidgety nine year old found stillness, and the look on his face with having achieved this, was priceless. He was undoubtedly proud of himself and emanated a smile that was visibly seeping out from deep within. Michael had found his focus. I then asked him to try a simple breathing exercise in class that no one will notice (not wanting him to be picked on by the kids). I asked him to recognize when he was losing focus and feeling overwhelmed in the classroom, and to inconspicuously take a deep breath in, and slowly breathe out while bringing his attention to the lesson on the exhale. Michael came home that afternoon, bursting through the door with an exclamation of “It worked Mom, it worked”. His teacher shared that he was a completely different child, and commented on how intelligently he handled his class work. A total 180 degree shift was recognized. The child who could not sit still without drifting off, tapping his fingers or feet, had found his focus. We moved away from potential medication to meditation, which is helping him lengthen his focus over time. Does he still lose his focus at times? Yes of course. It’s a practice and we still have a long way to go. The introduction of meditation and soft, playful yoga is helping us discover ways to build our son up from within, which will surely strengthen his mental muscles and without meds. The benefits of yoga experienced with my nine year old, led me to pursue yoga teacher training so that I can help my children and others. It’s a scary journey for me, as I am a mother of four, and a wife, with a full time career. That’s a whole “Other Story” for next time. The unequivocal point being that yoga and meditation opens us up to new possibilities, whether you’re an adult or 9 year old seeking a new skill. Every child is unique and responds differently to the introduction of yoga, sports and exercise. We just never know what a little Om can help our kids accomplish. At the very least, they have a little fun, and who knows, like my little Michael, they just may find their focus.